The Disney live-action remake initiative has been an interesting project that’s sparked many debates amongst me and my peers. While many have made somewhat fair arguments that these remakes are nothing more than cash grabs and nothing else, I’ve argued that advancements in technology over the years at least allows for more creative direction with these properties. Directors like Jon Favreau took an all-but-forgotten 1967 film in The Jungle Book and made it a nearly billion-dollar property in 2016. The same can be said about 2017’s Beauty & The Beast, which made well over a billion dollars a year later. There’s clearly still money on the table for Disney from these properties, and when done right, these films provide quite an enjoyable and for some, a nostalgic experience as they perhaps add to and reinvigorate one’s love of their stories. Dumbo is not one of these films. 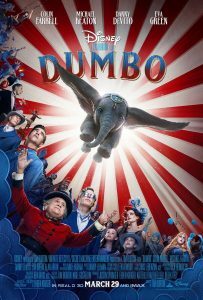 Dumbo is a 1941 animated feature just over an hour long that tells a pretty heartbreaking tale of a deformed elephant who loses his mother and is mistreated at a circus. Granted, I haven’t seen the original in over twenty years, but even as a child, I wasn’t the biggest fan. It was just an incredibly sad movie, though I’m told as an adult, I’d probably find a lot more wrong with it if I ever revisited, but I digress. With Tim Burton behind the wheel to add his own stylistic flavor to the picture, I wondered just how weird he could make the film. However, unlike his 2010 adaptation of Disney’s Alice in Wonderland (a much better-suited film for his style of filmmaking), nothing in this film really stood out as that Tim Burton-esque flavor. In fact, had I not known prior, I may not have even been able to guess this was his film, which is rare for any film of his. That isn’t to say I didn’t enjoy some of the cinematography throughout the film though. Several shots captured my eye, but they were unfortunately woven in between an often dreary sequence of scenes consisting of stale characters. 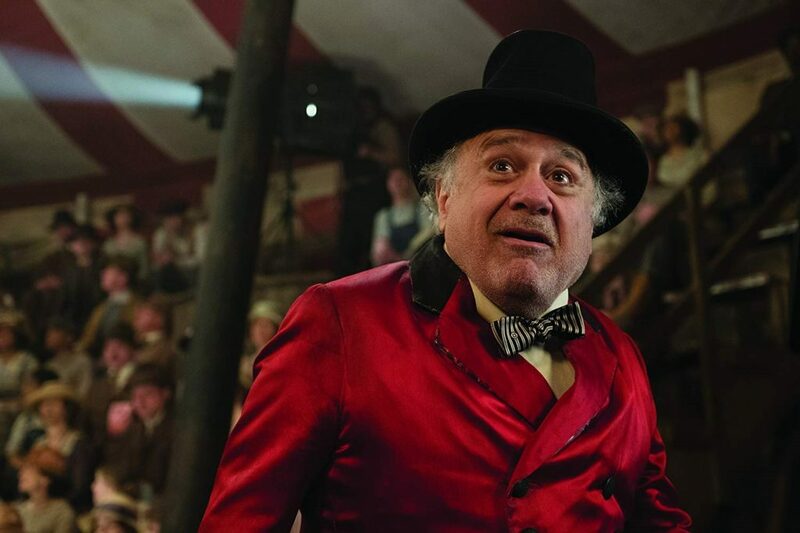 Sans Danny DeVito (whom I’ve missed on the big screen after years of seeing him as Frank Reynolds on Always Sunny), I could not have cared less about anybody in this movie. Michael Keaton was a huge disappointment as he tried to do too much with what little he had. 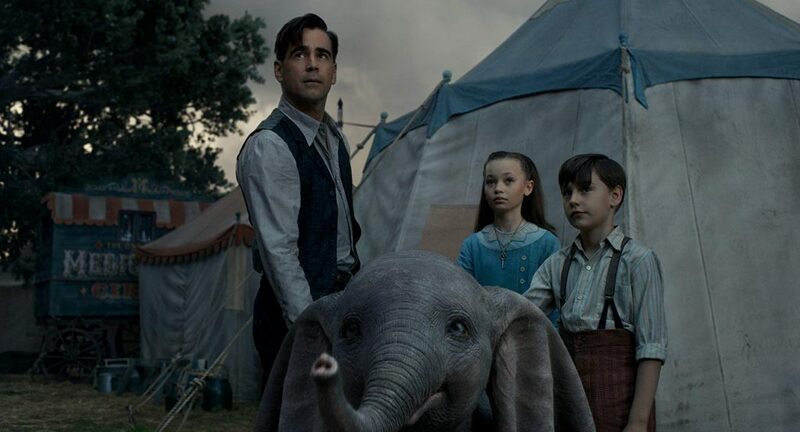 Colin Farrell’s character and his children (who basically replaced the mouse that cares for Dumbo) didn’t get enough development to care about either, and unfortunately, the film follows the people more than it follows our titular pachyderm. The film does do a good job in bringing back its familiar music tracks in Baby Mine and Pink Elephants on Parade (the latter being maybe the most Tim Burton-esque scene in the movie) and stimulates the viewer’s emotions accordingly within both. My favorite moment, however, was a magical moment in which Dumbo takes his first full flight and the music crashes in along with it, but the film just fails to maintain that magic throughout. Overall, I found Dumbo to just be okay. I had my moments where I was entertained, but they were overshadowed by many more moments in which I was bored. I was mostly disappointed in what I felt to be lack of that Tim Burton style and stale character development and dialogue from the Ehren Kruger script. 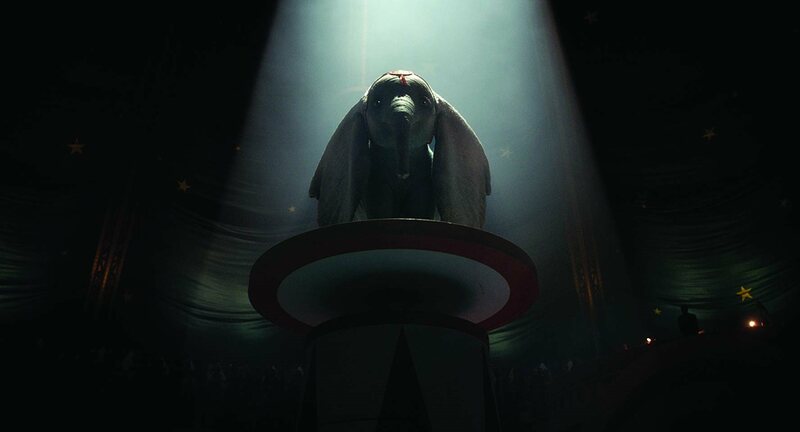 The CGI rendering of Dumbo looked great and he was as adorable as he could possibly be, but the story seemed to focus more on everybody but Dumbo himself. At its core, Dumbo is about a mistreated elephant trying to get back to his mother, and a sixty-four minute animated feature was enough to tell that tale.